MGR Motorsport has today confirmed Luke Wright (Shaftesbury, Dorset) will return to the Protyre Formula Renault BARC Championship at Croft in North Yorkshire this weekend, as an 11th hour replacement for regular driver Russell Danzey (Sheffield). 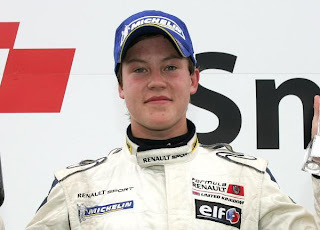 With budget difficulties keeping promising 17-year-old car racing rookie Danzey on the sidelines for the seventh and eighth rounds of the 2011 championship, Wright – who is competing in the AirAsia Renault Clio Cup UK this season – has stepped-in as a late replacement for the Loughborough squad. The 18-year-old, who graduated to cars in the 2009 Formula Renault UK Winter Series and competed in Formula Renault BARC last year, is something of a Croft specialist having enjoyed fantastic results at the 2.12-mile track in both single-seaters and saloons. In Formula Renault BARC last year, Wright secured his first victory at the North East venue on his way to a top six championship finish which also included four other podium visits. In Clio Cup this year, the teenager achieved his maiden category podium at Croft with second place during the most recent event in mid-June. Wright also has strong links with MGR Motorsport having raced for the team in the 2010 Formula Renault UK Winter Series. Qualifying fourth fastest for the opening round at Snetterton in Norfolk, he went on to achieve a top five finish and sensationally came through from 12th on the grid in round two to claim second place. At Pembrey in South Wales a week later, he took his second podium. “We’re delighted to have Luke with us at Croft this weekend but obviously disappointed for Russell that he’s had to pull out of this one”, said team principal Mark Godwin, “This will give him a bit more time to get the sponsorship in – he hopes to be back out for the next round at Thruxton. At Croft this weekend Wright will join regular MGR racers Matt Mason (Nottingham) and David Wagner (Glasgow) who are currently ninth and 11th in the championship standings respectively. For 18-year-old Mason 2011 is his first season in cars while fellow 18-year-old Wagner only has marginally more experience having debuted in last year’s Winter Series.